New iPhone 5 specs 'outed' – is it enough power? 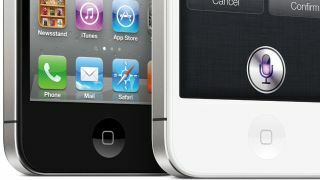 The iPhone 5 - bigger, better, faster? We may have heard some of the iPhone 5's early specs if a new leak is to be believed. We may not know the release date of Apple's newest smartphone, but according to a leak from 9to5Mac the new handset will be packing a new CPU to provide next-generation speeds. According to the tip, the CPU will be the sexily-monikered S5L8950X – whether Apple would see fit to jump on the quad core bandwagon remains to be seen as there's no indication of clock speed here. However, the leaked chip name still works with the A5 label, which sounds like it might not be a huge update from the dual-core chip seen in the iPhone 4S, although 9to5Mac posits this may be because it's working on a low-power 32nm chip. It will also likely be coming with 1GB of RAM, in a similar fashion to the new iPad, which probably won't stay at the sharp end of the market for long (we're already seeing 2GB variants of the Galaxy S3). But before crowing about how underpowered the iPhone 5 will be, remember Apple's always been fairly resource-light with its iOS platform and signs are pointing to an even more advanced and agile platform in iOS 6. So the upshot of this possible leak: the iPhone 5 will have just enough of a specs update to make it next-gen, but not as much as the rest of the market. Hardly a shock, right?